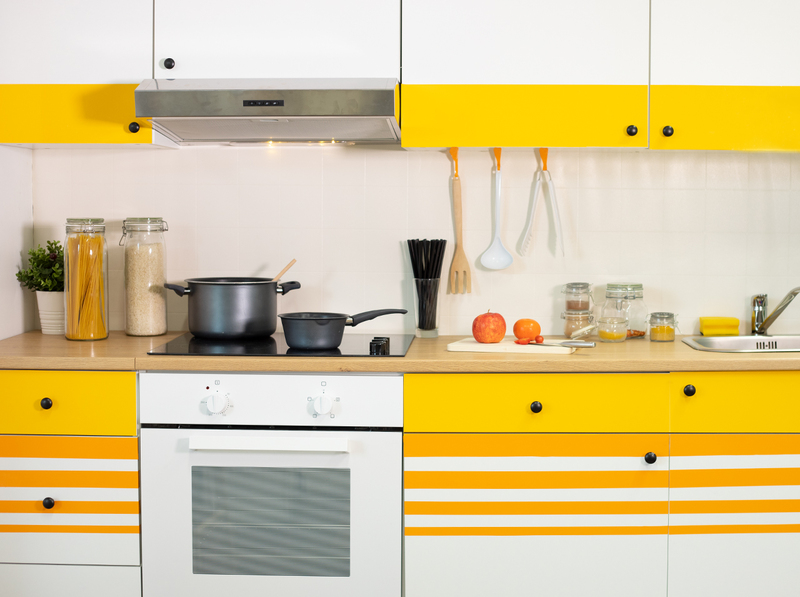 d-c-home | Fight the winter blues with bright, sunny yellow. Fight the winter blues with bright, sunny yellow. 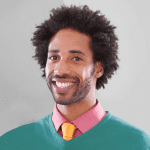 Yellow is definitely one of this year’s on-trend colors. 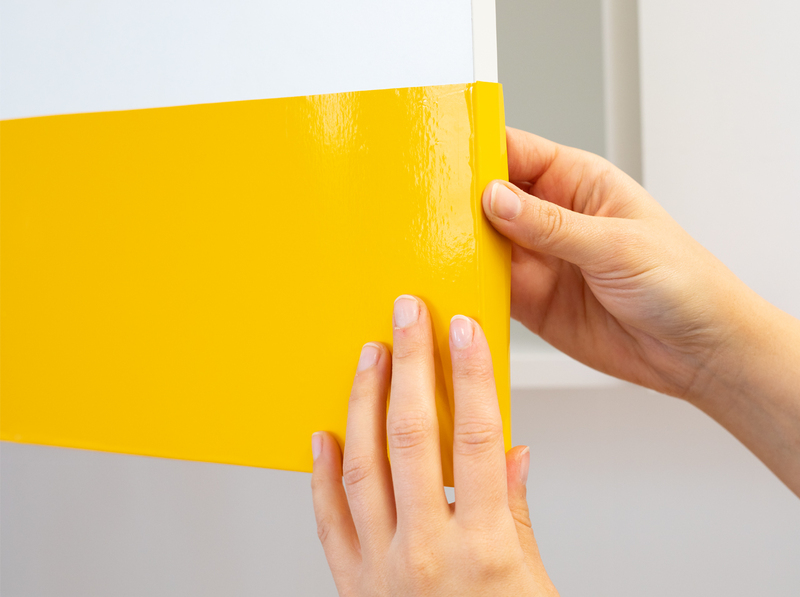 By adding some yellow highlights, you can transform your tired kitchen into a place that makes you feel good and makes the long wait for spring and warmer temperatures more bearable. 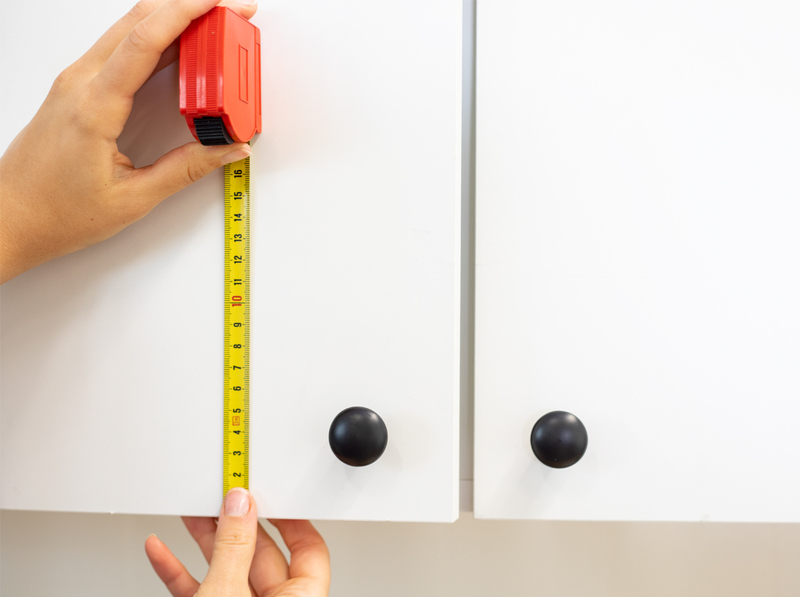 Carefully measure the cupboard doors. Remove the knobs. Cut out the film, not forgetting to include a little excess. 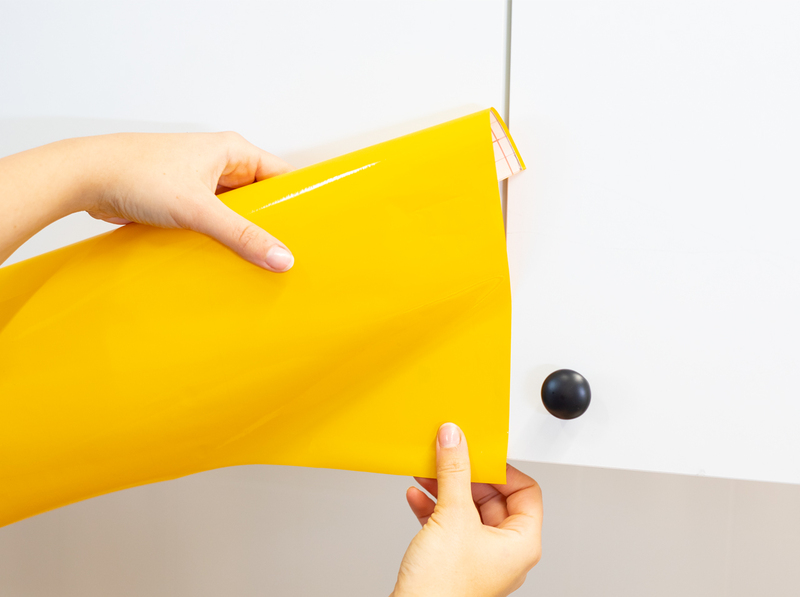 You can cover part or all of the drawers and cupboard doors with film. Slowly peel back a piece of the backing paper to start with and attach the film to the edge. Now gradually smooth out the film using the smoother. 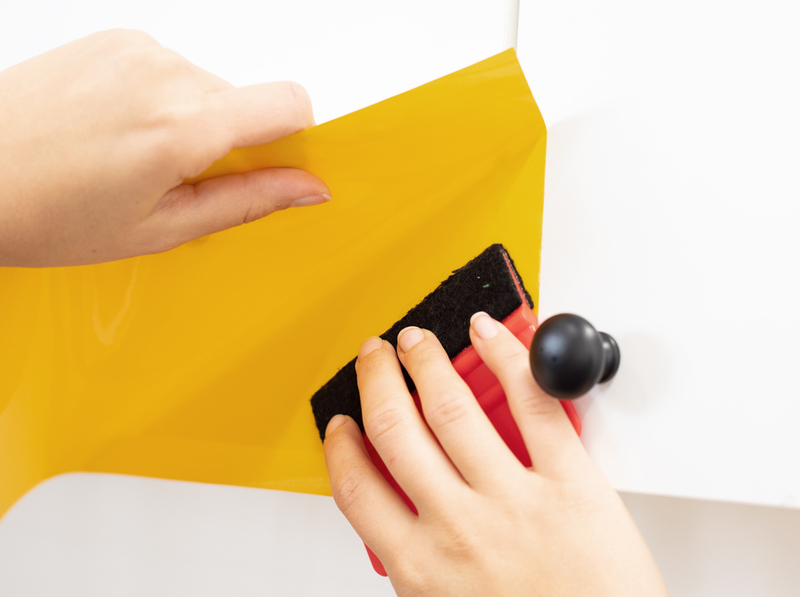 To prevent air bubbles, always move the smoother from the inside out. Apply the film close to the edges and firmly smooth it out. 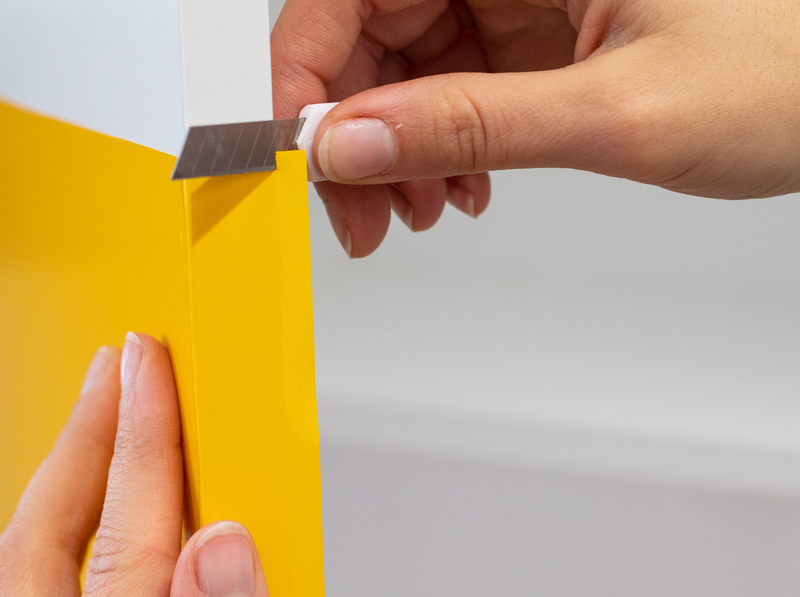 Cut a notch in the film at each corner of your doors and smooth it out. 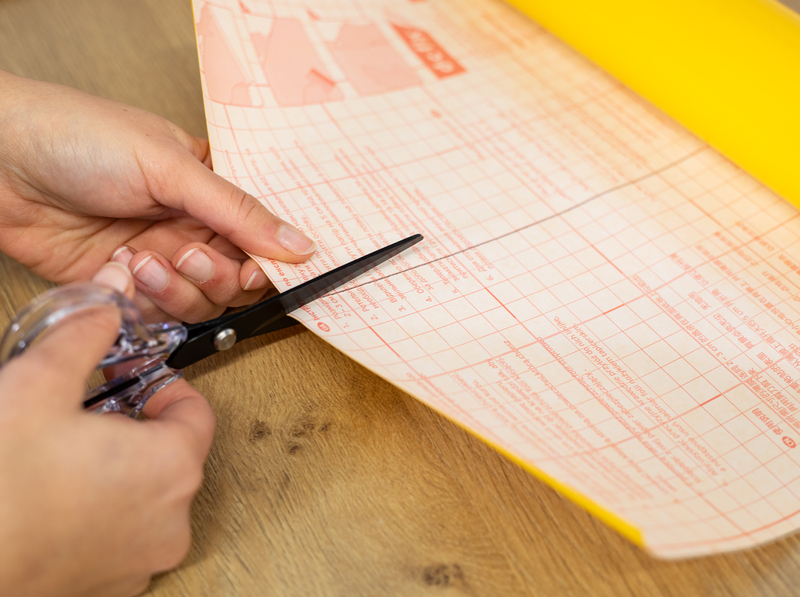 Now carefully cut away the excess film at the edges. Cut a small hole in the film and re-attach the knobs to the doors. Taking this approach should prevent bubbles from forming.